A new year often heralds thoughts and dreams of new beginnings, and for many people – the dream is to emigrate with their loved ones away from the UK, and build a new life – very often in either Australia or New Zealand. Each year, around fifty thousand people decide to make the move to either of these countries, although it is often a very difficult decision to uproot life as you know it and take a leap into the relative unknown. It’s not hard to understand the attractions of both of these countries, who both often rate very highly in satisfaction surveys, as countries that are great to live in. Pull factors include a hope for a better work-life balance, there is the understandable lure of a stronger economy and a better-paid job- or simply, but essentially, just the prospect of spending more quality time outside in the sunshine. There’s lots to recommend these countries as places to relocate to from the UK – we share the same language, there are lots of cultural points of reference, and they both have migration pathways open to residents of the UK. 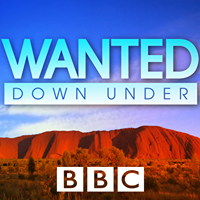 The TV programme ‘Wanted Down Under’ is now back on our screens for the 12th series (January 2018) and allows couples and families to fly downunder to either Australia or New Zealand to try out the Antipodean lifestyle for themselves. Often, there are differences of opinion within a family – where one partner is keen as mustard, and the other needs a little more persuading, so the aim of the programme is to help the participants to decide if a big move in this direction, really would be the best thing for their unique requirements and situation. For many, there is the very real emotional upset at the thought of being so far from friends and family back in the UK, and also the fear that although it may appear so – the grass isn’t always really so green on the other side. Australia and New Zealand are many hours away on a flight, and this can be another factor that puts travellers off making the big move, and being quite so far away from the UK – and the loved ones we are leaving behind. The programme is presented by Nicki Chapman, and offers the invaluable chance to fly over, have a look at housing and career options and many other practicalities – chiefly – the relative cost of living, as well as considering where in particular they may like to settle down. One of the key issues that you need to get to grips with if you’re considering a move, is the regularly-updated visa requirements of the respective country that you want to move to. These regulations change according to political will, population numbers and shortages in particular demographics and job roles, and the whole area can be quite complex and changeable. You can take a look at the visa requirements for Australia here and New Zealand here. The show also has a Facebook page, where you can keep up to date with the programme and the families that have taken part. If you’re weighing up the pro’s and con’s of making a similar move as the families on the show, ‘Wanted Down Under’ provides lots of food for thought, and may well help you to decide whether a move of this magnitude is right for you – and help you decide, where, in particular, you’d like to live. The key thing is to do your homework to make sure that your expectations are realistic and achievable, and whether you would be eligible to make a move to one of these desirable locations. Watch the programme, join forums and Facebook groups, and another useful source of research is the HSBC Expat Explorer Survey , where thousands of expats fro around the world are questioned about their lifestyle, and the results are then collated, and available for you to investigate according to where you’re going, and what your priorities are. 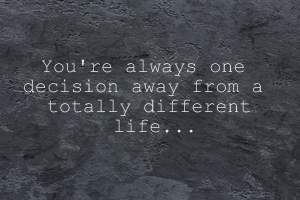 If you do decide to make a big move away from the UK, please get in touch with us for your one-way Emigration travel insurance. Many people presume that a standard single-trip travel insurance policy will do the job, but it won’t be valid, as this type of policy requires you to set an end date that you will be back in the UK – which you, don’t plan to be, for the foreseeable future! We are one of the few UK-based travel insurance providers who can offer one-way Emigration cover, which covers your journey away from the UK (and any travel en-route), plus a selected period of time, once you reach your destination country. This offers you precious ‘breathing time’ whilst you settle in, and make more permanent arrangements. This takes the worry out of what the financial cost will be if you fall ill on the way or if some of your possessions are lost or stolen before you’ve set up home and contents insurance, or if your personal money or passport are lost or stolen along the way (along with lots of other benefits too). You can take a look at the respective benefits of both the Emigration Gold and the Emigration Silver policies here and find out more background information and get a quote here. Your faithful, four-legged friends aren’t forgotten either! We also offer pet migration policies for both cats and dogs, so you can take an irreplaceable part of home with you, and explore your new environment together. Take a look at our Pet Migration website here. The even better news, is that the reward for simply ‘Liking’ our Facebook page , is to get 10% off the cost of your policy!